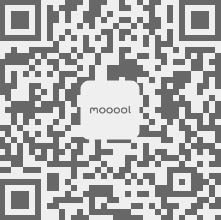 Thanks HASSELL for authorizing the publication of the project on mooool, Text description provided by HASSELL. 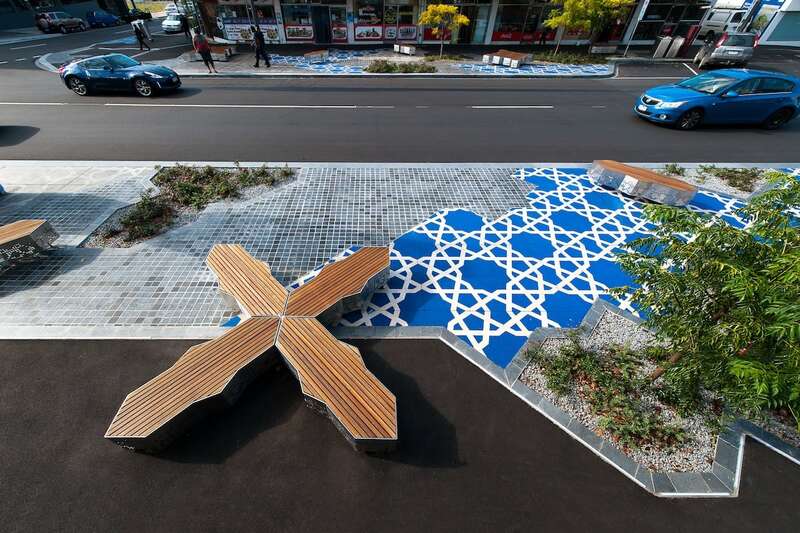 HASSELL: The Afghan Bazaar Cultural Precinct celebrates a unique concentration of Afghan businesses in Thomas Street, Dandenong. The City of Greater Dandenong and the Office of Multicultural Affairs and Citizenship wanted to better define the area’s Afghan identity. Their ultimate goals were the creation of a place the local Afghan community could be proud of, and an engaging cultural destination for visitors and tourists to explore. 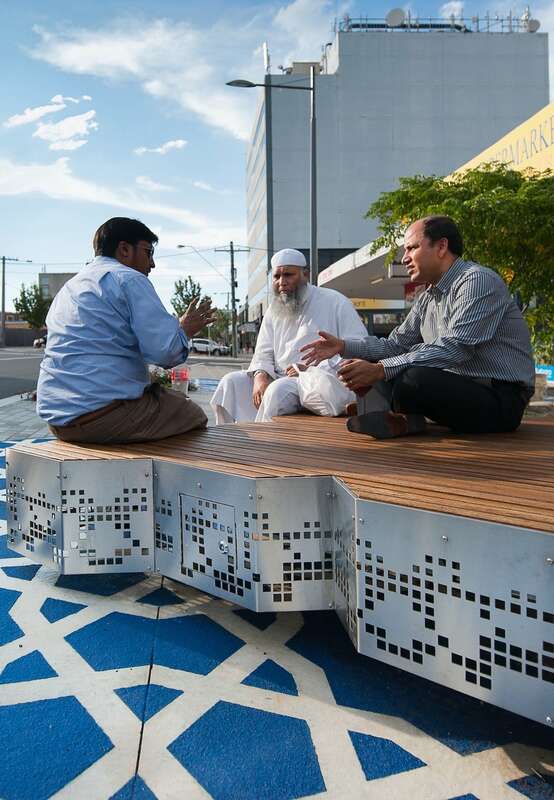 The HASSELL design for Thomas Street has created an emblematic urban streetscape for the cultural precinct that is integrated and responsive to the local Afghan community. 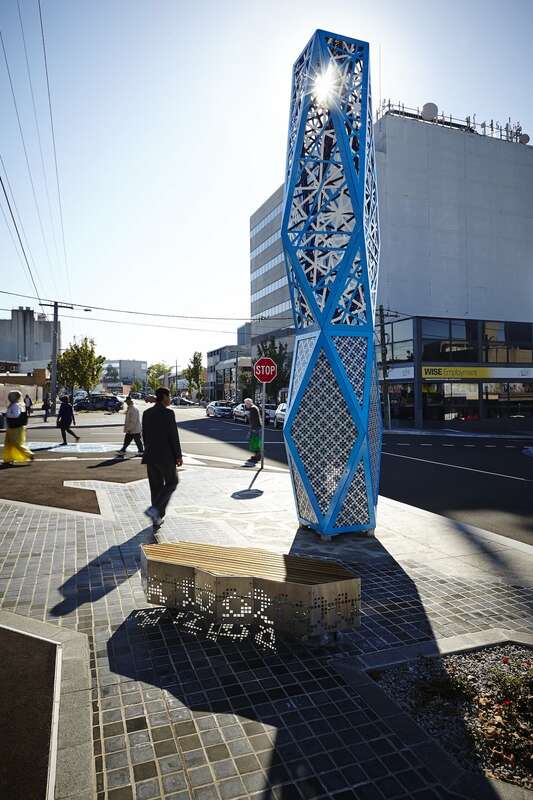 It has delivered a distinct visual character that engages and enlivens the street, encouraging community gathering. An intensive community consultation, facilitated by Sinatra Murphy, underpins the precinct design. 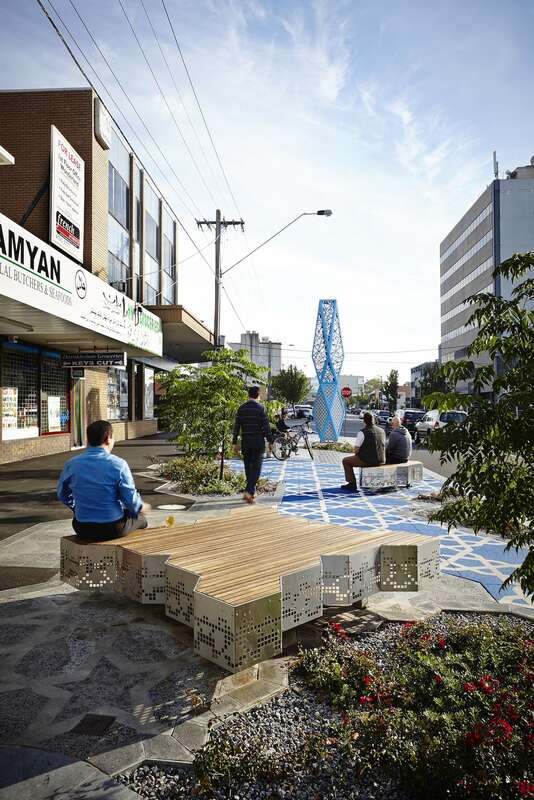 This consultation highlighted the diversity within Dandenong’s Afghan population, but focused on shared ideas and aspirations identified to develop a design framework of community-endorsed themes. The Afghan Bazaar demonstrates a new direction in the design of public cultural spaces that aims to move beyond the clichés of precinct branding. The community consultation allowed the design team to understand the way people used the existing space, and how it could better accommodate specific cultural requirements. 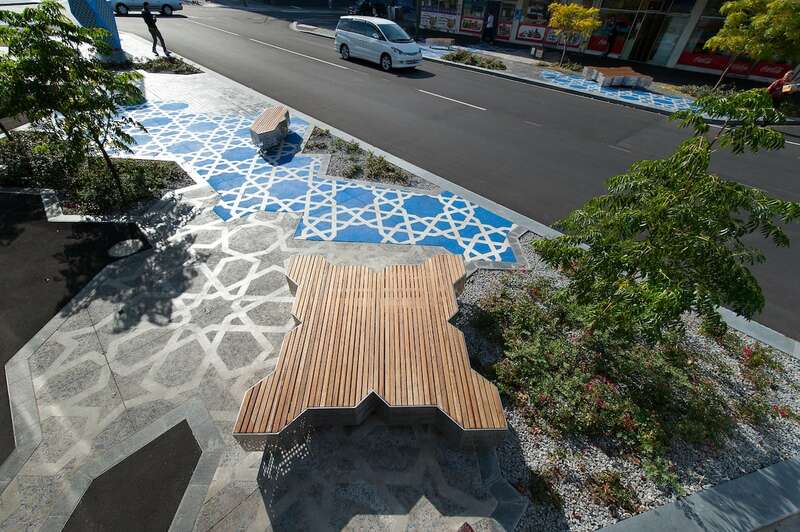 For example, the custom seating reinterprets the traditional Arabic ‘suffah’, or dais, for the urban Australian context, allowing people to socialise in familiar ways. 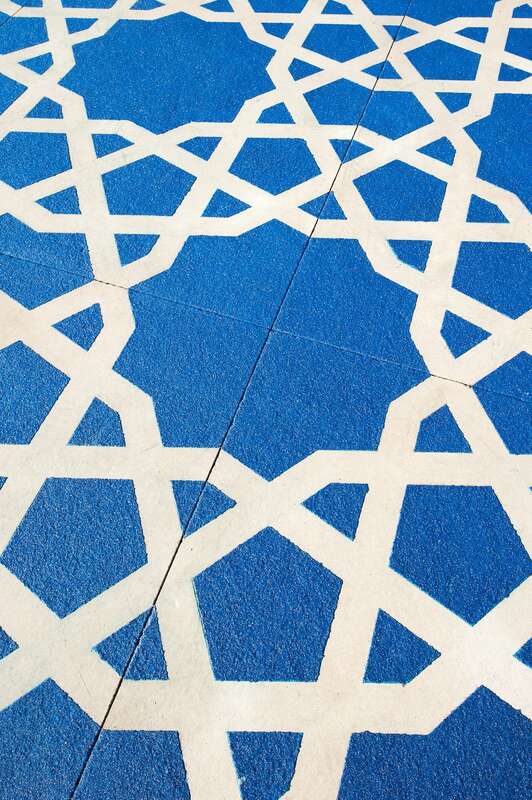 The extraordinary tiling of Mazar-e-Sharif (Blue Mosque) was a major inspiration for the design. A contemporary interpretation shaped the design team’s approach called ‘the geometry of gathering’. 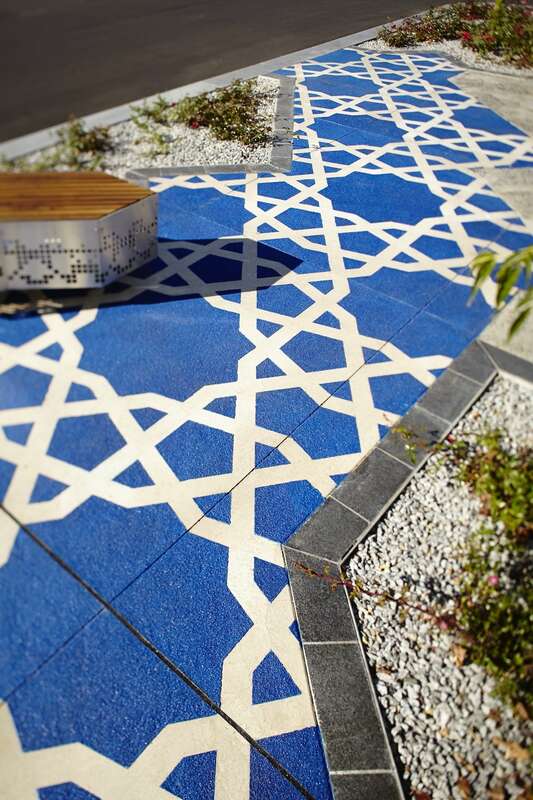 Intricately detailed paving on both sides of the street introduce colour, texture and pattern to define the primary meeting places. 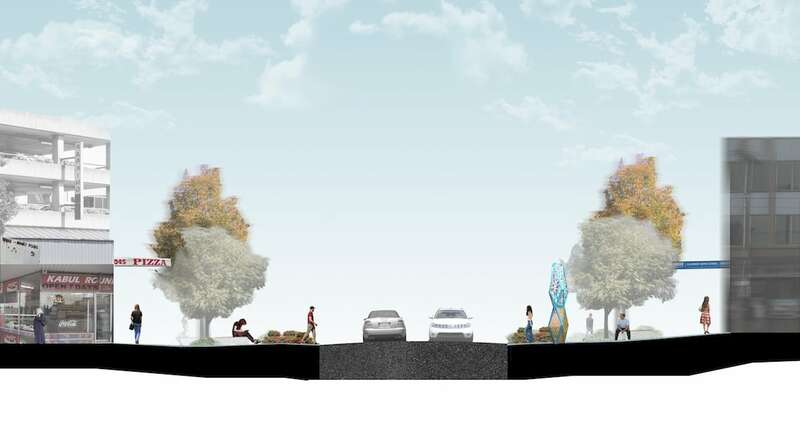 The abstracted geometries expand to generate the arrangement and form of the streetscape elements, increasing in intensity at the focal areas of the precinct. The vivid blue of turquoise and lapis lazuli are colours that resonate with the whole community. 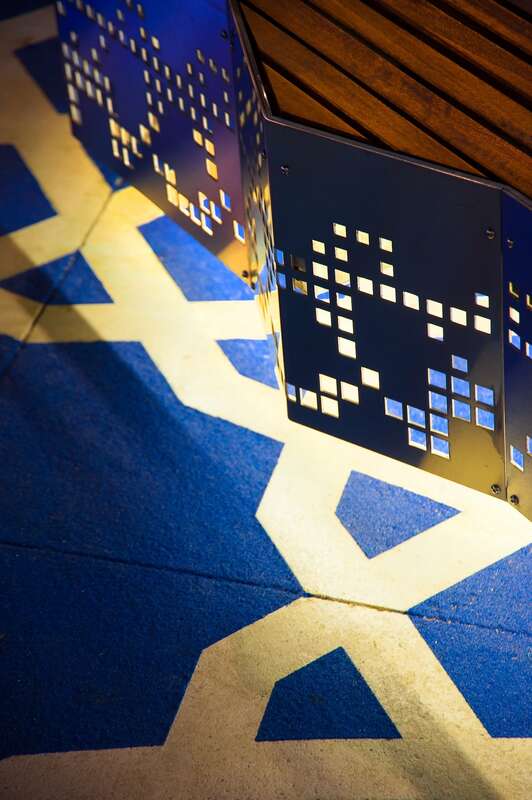 Their highly visual introduction, via blue glass aggregates and resin pavement stencils, adds vibrancy to the street and is a signature of the precinct. Making space for community gathering, the roadways were narrowed and footpaths widened to establish new infrastructure for festivals and events, such as Nowruz (New Year). 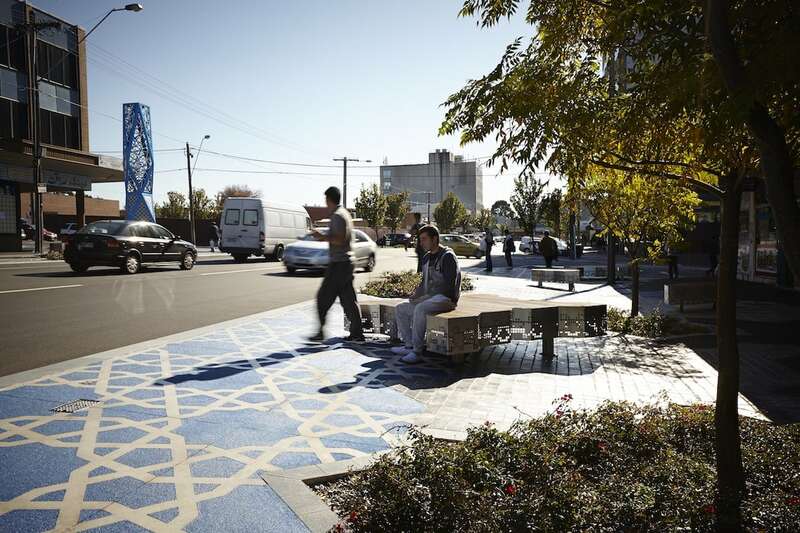 Improved lighting, new trees, overhead power-line removal and better links to the civic square on Lonsdale Street and Dandenong Railway Station also contribute to transforming the precinct into an attractive meeting place. An integrated artwork called ‘Lamp’ by Afghan-Australian artist, Aslam Akram, provides a captivating centrepiece by day and night. The base of the artwork represents human energy, knowledge and experience, as well as holy places, histories and memories of Afghan-Australian people. The top is a filigreed shade symbolising creation as a result of human energy, as well as friendship and respect between communities and within cultures in multicultural Australia. 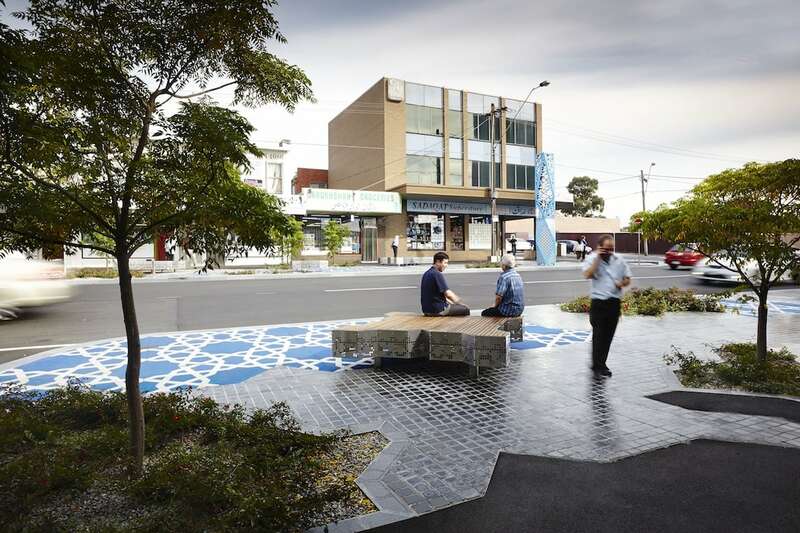 “The streetscape design has been a collaborative effort between traders, community leaders and precinct stakeholders and the end result is a vibrant precinct which celebrates the Afghan people,” said Jim Memeti, City of Greater Dandenong Mayor.